1. Holiday Springs Water Park Opens for the Season! Saturday, May 26. Looking for a great way to get the summer kicked off right for you and your children? There’s no better way to cool down this summer than to visit Holiday Springs Water Park. 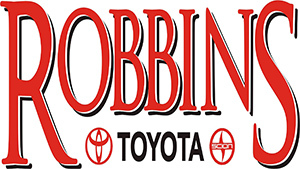 Check their website for weekend specials and season pass info. Learn more. 2. Texarkana Twins PLAY BALL! Friday, May 25-Sunday May 27. Start you Memorial Day weekend off right by bringing friends and family out to George Dobson Field to cheer on Texarkana’s very own Texarkana Twins as they open their 2018 season with a four day home game stretch. Starting off on 25th and 26th they will host Brazos Valley Bombers and on the 26th and 27th they will host Victoria Generals. All four games are at 7:05 PM. Fireworks, Bounce houses as part of a huge kid zone, music, entertainment, kids running the bases and memories of a lifetime being made nightly at George Dobson Field. 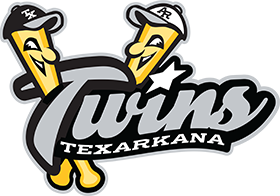 Discover our very own minor league team: Texarkana Twins! Learn more. 3. Celebrate Memorial Day Monday, May 28 and throughout the weekend. Honor the memories of the brave men and women who have given their lives for our country; it was begun as Decoration Day, when family and friends decorated the graves of loved ones. Check listings in the Texarkana Gazette for times and places of the various services. and don’t forget to... Honor First Responders on EMS Appreciation Day in Texarkana Wednesday, May 23. Send them to Breakfast from 6–9 a.m. at FBC Moores Lane; and be sure they enjoy free lunch or dinner at any Texarkana Big Jake’s BBQ that day. Science in Action at Discovery Place. Texarkana Museum Systems. 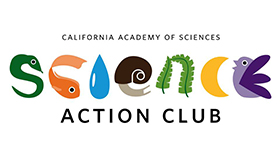 4-5 p.m. 12-week program by California Academy of Science - Science Action Club at Discovery Place Children’s Museum will hold a Bird Scout’s, a nationwide STEM Program, for middle school youth Bird Enthusiast. FREE. Targeted to 5th - 8th graders, but welcome younger and older bird enthusiast. Learn more. 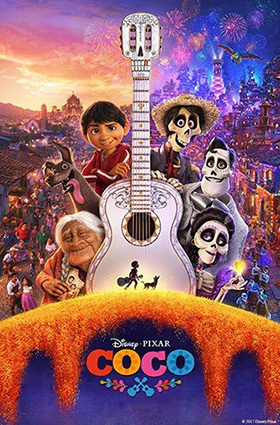 Movies in the Park: COCO! Spring Lake Park. Bring your lawn chairs, lawn quilt and the family out for a fun family friendly movie as this season’s first Movie in the Park is offered FREE. by Texarkana, TX Parks and Rec. Begins at sunset - around 7:45. Concessions available for purchase. Learn more. 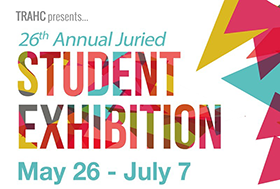 TRAHC’s 26th Annual Student Juried Exhibition. Regional Arts Center. Opening Reception at 11:30 a.m. The Student Juried Art Exhibition has been apart of TRAHC’S regional art show for 26 years and features art from elementary, middle, and high school students throughout the Four States Area. FREE. Tuesdays-Saturdays 10 a.m.-4 p.m. Exhibit open from May 26-July 7. Learn more. 4 States Drift. 9 a.m.-4:30 p.m. If you love the thrill and excitement of watching vehicle enthusiasts as your self perform daring car drifting competition or solo show off events, then look no further. Bring family and friends! Learn more. 2nd Annual DownTown Tinker Town. Texarkana Museums System. 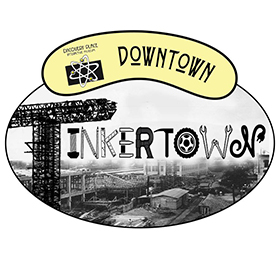 CALLING ALL TINKERERS! Individuals, organizations, businesses will each have spaces featuring hands-on or make & take activities for children! Arts, crafts or STEM Activities. If you want to be a Volunteer, Sponsor or Tinkerers (we are happy to help people come up with an idea for their activity). Call 903-276-4665. PLAN YOUR SUMMER NOW! Tex Rep Drama Camp. June 11 -23. This is a first come first serve basis for the first 100 registrants. Three age levels K-2nd, 3rd-5th, and 6th-12th. This camp emphasizes the importance of theatre appreciation as well as building up individuals with life lessons of team building, responsibility, and self confidence. Learn more. Silvermoon Children’s Theatre Mini Show. Weeklong Theatre Camps in July. Drama Camps last a full 5 day week; daily from 9 a.m.-2:30 p.m. Your children will be part of a fast paced theatre experience from exploring characters and designing costume and stage set up to learning lines for the production. $175 cost includes a week of theatre learning and fun, a t-shirt if registered by JULY 1ST, and two comp tickets to see the show. A great way to introduce your children to theatre. Kids' College at Texarkana College is celebrating its 25th year! TC Kids' College offers fun classes for kids ages 7-12 in a college setting. Two sessions available: June 18-21 and 25-28. Classes fill fast, so register early! Classes include arts and crafts, fitness and dance, filmmaking, photography, rocket science, LEGO-robotics, junior medic, future chefs, and more. Learn more. Art Classes for EVERY age at TRAHC’s Arts on Main. Begin mid-June through August. Choose from Camp Create or Picassoramma Camps; Sculptarama Camps, or ArtWall Camps. Registration ends the Friday before each workshop or class so check out the full schedule. With the support of Women for the Arts, TRAHC offers full scholarships for children who cannot afford tuition. www.trahc.org or call 903.792.8681. Sign up Now: Texarkana Twins Baseball Camps. First camps start 6 of June. Check out their website and click on Baseball Camp tab to get your baseball athlete, boys and girls, signed up. Learn more. Learn something new this summer at one of Texarkana's three institutions of higher learning! Texas A&M University-Texarkana offers two 5-week summer sessions. Regular registration ends June 3. Check out available classes. Texarkana College offers two 5-week summer sessions along with a 10-week summer session. Session I begins June 4. Learn more. University of Arkansas Community College Hope Texarkana offers two summer sessions at its location in Texarkana. Learn more. Comments on "T-Town Top 10: Week of May 22-June 3, 2018"